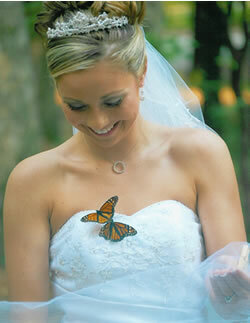 My daughter got married June 24 and we ordered our butterflies from you guys. I just wanted you to know they were beautiful and healthy. Exactly like promised. As you can see from the picture she loved them so much. I will for sure recommend your butterflies to others. Thank you so much for helping to make our family's special day even more so.